Maximum combined weight capacity of 20 lbs. The Clinton Industries Grip System Weight Bar Strip is a uniquely designed storage device that can hold a maximum combined weight capacity of bars not exceeding 20 lbs. It is an optimal choice for patients undergoing exercise, physical therapy, and rehabilitation to increase strength. 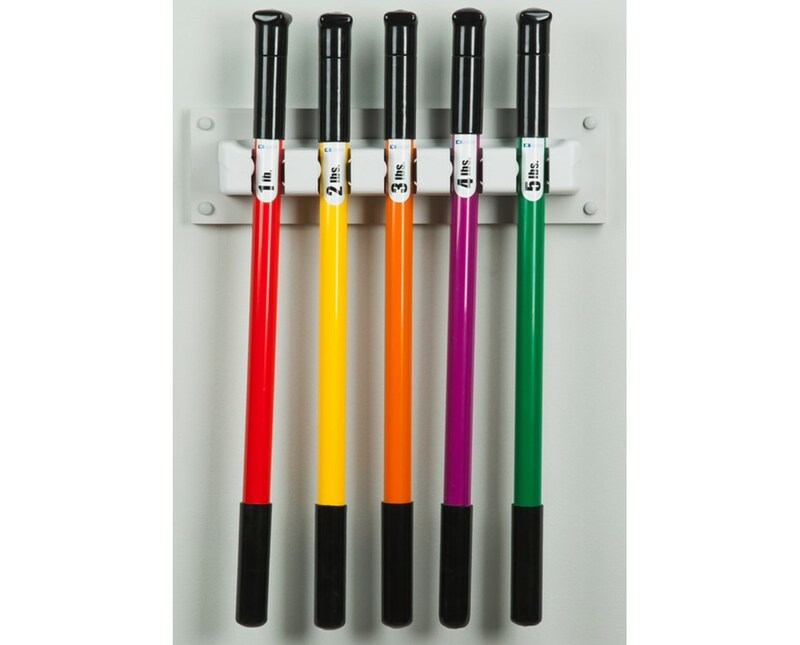 Constructed with a gravity mechanism, the Weight Bar Strip grips the weight bars and hold them securely into place. 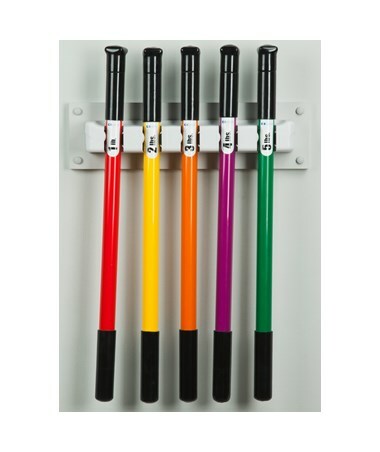 The Weight Bar Strip is made with an easy-to-clean laminate surface and includes mounting holes. Its width and height measure at 20" W and 5.5" H respectively.